Since Time Warner Cable (my internet AND cable TV provider) and CBS are having a ridiculous spat and the summer shows (of which I watch many) are coming to an end I have less to watch from my DVR (anyone worth anything watches TV time shifted vs. live). It’s simply horrific. CBS itself isn’t really loss in the summer months but Showtime is a real shame. I was caught up in the finale season of Dexter and the premiere season of Ray Donovan when my signal was pulled and I was thrown into cable darkness. I honestly don’t know which of the two gazillion dollar companies I hate more. It is a hard choice so I choose to hate them both. I am nothing if not fair. It is extra aggravating that CBS, in its need to be as petty as possible, took away Time Warner Cable Internet users the ability to watch their programs online. I feel like this is a HUGE opportunity miss. They could easily take advantage of this time to become the King of TV on the Internet but alas, no one has that kind of creative thinking when a money war is going on. After I caught up on Under the Dome and realized nothing on my DVR was very exciting (I wouldn’t dare watch live TV … don’t be ridiculous) I decided to dive into another series that Amazon Prime was offering. It was between Breaking Bad (which I have never seen) and Downton Abbey (which I, also, have never seen). I choose Downton Abbey. Yes yes yes … I know… EVERYONE loves Breaking Bad. I get it. 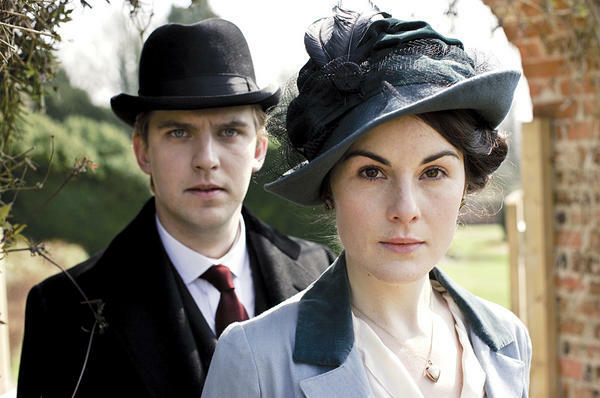 It’s just Downton Abbey seems to fit my sensibilities more than the angry drug show. Don’t get your feathers ruffled. I’m sure I’ll get to it sometime in the future. Every single episode is just heart breaking. Seriously my heart hurts and almost every episode has me in tears. So much unrequited love. I just want to slap some characters in the face and say “kiss her (or him depending on who I smacked). I’d marry Matthew in a heartbeat … I N A H E A R T B E A T! Lady Mary and I would definitely be BFFs. 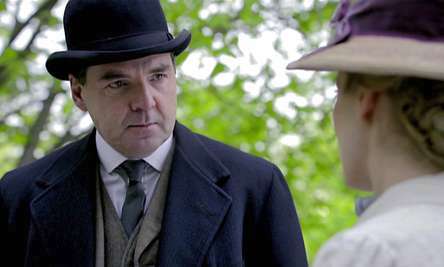 I’m madly in love with Mr. Bates although his extreme morals make me ridiculously aggravated at him (I am assuming he ends up in jail at some point since you search his character name on the internet and you get “FREE MR. BATES” sites). with that. That dude is an asshat. Dressing for dinner each night would be exhausting even with a lady’s maid. I assume my normal attire of yoga pants and tank top would not be suitable. I’d appreciate it if the darling lab of Downton Abbey received more screen time. War is coming and I’m scared!